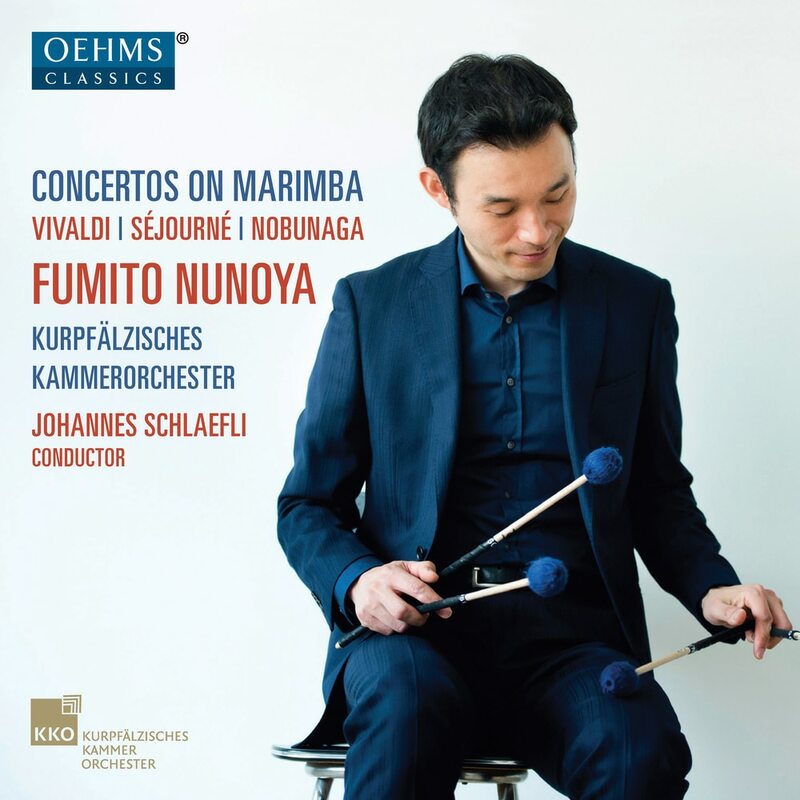 Marimba Concerto "The Crossed Sonar of Dolphins"
Fumito Nunoya is considered the custodian of the marimba. In the preface to this album, the Japanese musician explains why the marimba is still not a main instrument in the classical music scene. But with an exciting programme ranging from the Baroque to Modernism, he impressively proves the opposite, at least for the inclined listener of this recording. Marimbist Fumito Nunoya is gaining international recognition as one of today’s leading marimbists. Born in Odate, Japan, he currently lives in Kreis Herford, Germany. He has taught marimba at the Hochschule fur Musik Detmold in Germany since 2009. In addition to performances in Germany and around Europe, he regularly travels to perform in Japan and the United States.